A broker’s silver anniversary being celebrated having as guest of honour and main speaker a country President, is definitely not just another corporate event that could go unnoticed. And when both the country and the broker are significant players in the industry, then this event merits an article on its own. 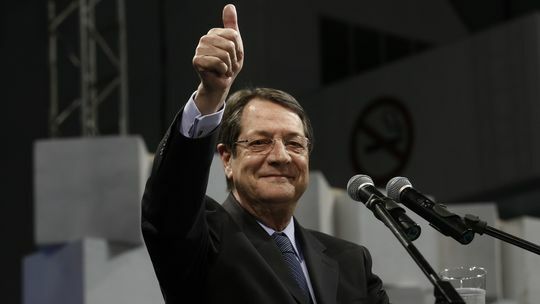 The state leader in this case is Mr Nicos Anastasiades, the President of the Republic of Cyprus, a country that has been in the headlines for a long time due to last year’s unprecedented decisions regarding its financial crisis, which rendered it the only case up to now where a bail-in was used in order to recapitalize its banking sector, resulting in huge losses for depositors due to the “haircut” of their accounts. These events in Cyprus had led many to believe that it would soon lose its significance and success as an international business and services centre. Indeed Cyprus is the base for many financial services firms, including forex brokers, as well as many binary options brokers, since its local regulator, CySEC, was the first EU based regulator to offer regulation for binary options having achieved their recognition as a financial product by the EU. Indeed, Cyprus has come under fire especially after the almost complete collapse of its banking system, and authorities have been accused by many as unreliable and unable to provide the right, safe and controlled environment required by financial services firms. Some even have accused the Cypriot regulator as being too “broker-friendly” and have maintained that the licensing of CIFs is more of a joke, or a flag of opportunity for dodgy brokers, rather than a safeguard for the rights of traders. Having said that, this is not just any company. Windsor Brokers Ltd, which is the firm in question, is a true pioneer, as it was actually the first ever company to establish a financial services firm in Cyprus, 25 years ago and it has managed over the course of this quarter century to become a leading investment firm and actually, the largest CIF offering derivatives trading in terms of capital and reserves. We should note here that Windsor Brokers Ltd. Is not only licensed by CySec, but also EEA authorized by the FCA (UK), as well as registered with the AMF (France) and BaFin (Germany). A leading provider of financial services it has to date received many awards for its innovative products, services, partnership programs and customer support. Windsor was ranked as one of the top 10 CIFs based on capital reserves, and through the employment of over 120 people in Cyprus and abroad it caters to both retail and corporate clients from over 80 countries worldwide.